We are glad to let you know that the brand new, shiny version of the MLS-friendly, non-branded RealBird virtual tours are now generally available. Just log into RealBird and you can get them on the list of listings page. For best results, make sure you upload many, large, high quality photos for your listings on RealBird. 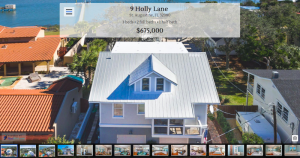 We’ll be featuring listings using the new virtual tour for a few weeks, so if you’d like us to feature yours, just send us an email with your RealBird link.